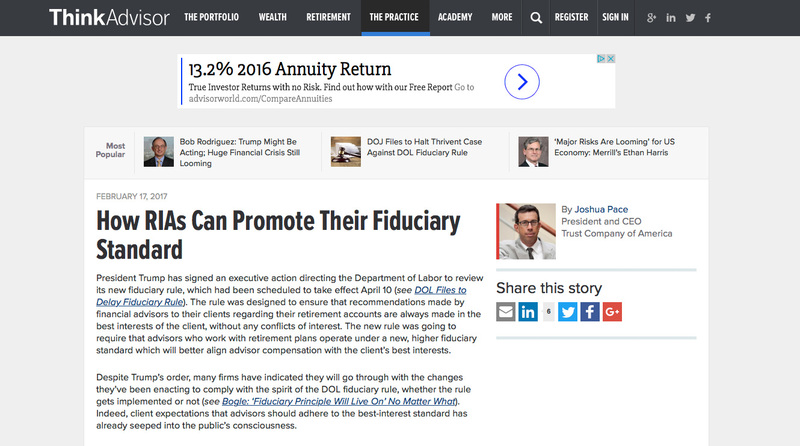 President Trump has signed an executive action directing the Department of Labor to review its new fiduciary rule, which had been scheduled to take effect April 10 (see DOL Files to Delay Fiduciary Rule). 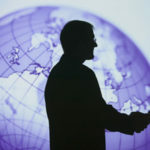 The rule was designed to ensure that recommendations made by financial advisors to their clients regarding their retirement accounts are always made in the best interests of the client, without any conflicts of interest. 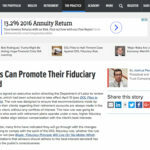 The new rule was going to require that advisors who work with retirement plans operate under a new, higher fiduciary standard which will better align advisor compensation with the client’s best interests. Despite Trump’s order, many firms have indicated they will go through with the changes they’ve been enacting to comply with the spirit of the DOL fiduciary rule, whether the rule gets implemented or not (see Bogle: ‘Fiduciary Principle Will Live On’ No Matter What). Indeed, client expectations that advisors should adhere to the best-interest standard has already seeped into the public’s consciousness.